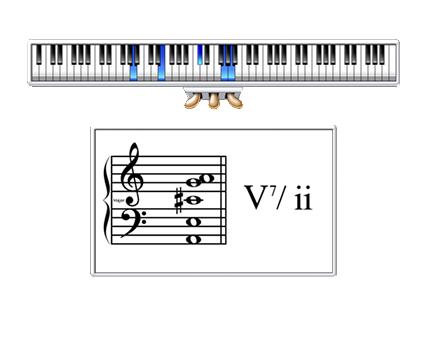 Play notes on your MIDI keyboard and Classroom Maestro does the rest-—with perfect formatting and musical intelligence—including optional analysis! Classroom Maestro is your intelligent, musical servant who understands what key you are in and who knows how to spell notes correctly on the staff, using your choice of grand staff, treble clef, bass clef, or any of the five C clefs. In a classroom setting, use Classroom Maestro with a projector-and-screen, flat-panel monitor, or interactive whiteboard. Dr. Mario Ajero is well known on the Internet for his instructional videos in which he uses Classroom Maestro as an interactive tool to put his points across. He also uses ScreenFlow to capture sound, video, and on-screen animation. Note Dr. Ajero’s use of Classroom Maestro, starting at 1:50. At 0:48, Dr. Ajero uses Classroom Maestro to illustrate how to build, notate, and name chords using Classroom Maestro. Note Dr. Ajero’s use of both the on-screen keyboard graphics (including the pedal movement) and the staff display. Classroom Maestro is an intelligent electronic blackboard for classroom and private music studio instruction. quickly and effectively–including optional analysis! All you have to do is press a single key on your computer keyboard to tell Classroom Maestro what you want to illustrate. Then, play notes on your MIDI keyboard. Classroom Maestro does the rest—with perfect formatting! Conveniently switch between Classroom Maestro and Home Concert Xtreme to teach your favorite music methods and pieces in a group or private lesson. 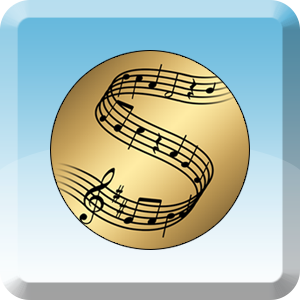 Use Classroom Maestro with Internet MIDI to teach musical concepts over the Internet! Classroom Maestro is designed to function as your musical servant, easily enabling you to illustrate a variety of music concepts by doing little more than playing notes on your MIDI keyboard. In a typical classroom situation, you have to appeal to a variety of learning styles. Some students are aural learners and others are visual learners. Some learn better by rote and others learn better by establishing logical connections between concepts. Your challenge, as the classroom teacher, is to address all learning styles simultaneously. Imagine standing in front of your classroom. You need to transfer a musical concept from your brain to your students’ brains. Just put your fingers onto your musical keyboard and play. Instantly, you’ll put sound into the air, visual information onto a projected display (musical staff and on-screen keyboard), and you can proceed to switch on or off an analysis feature with a simple computer keystroke. It’s almost like magic! Whatever you play will be perfectly formatted according to the standard rules of music notation. 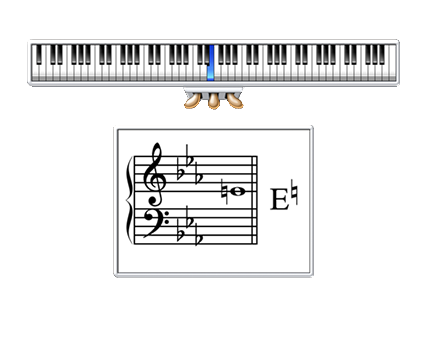 And, the musical formatting will change dynamically, on the fly as you play notes. 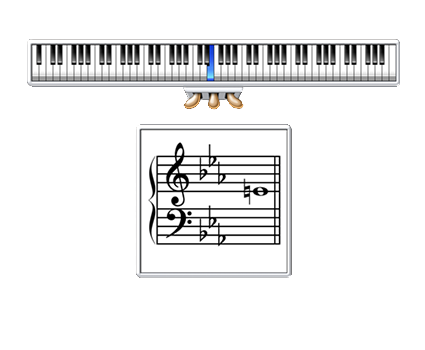 As you play, an onscreen keyboard will display the keys that you press and the on-screen musical staff will display the notes. Ready to give a quiz? You can easily turn off the keyboard display and just show notes on the staff. Alternatively, you can show notes on the keyboard and disable the staff display. Do you want to focus on teaching individual note identification? 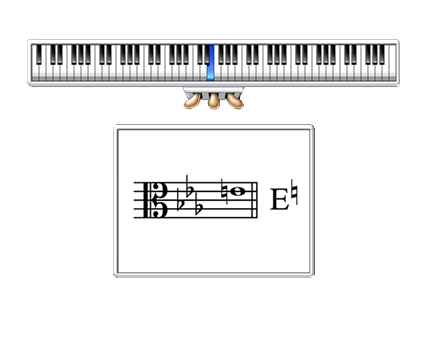 Use Single Note mode. In this mode, if you accidentally play more than one note—overlapping your fingers on the MIDI keyboard as you move from one note to another—Classroom Maestro will cleanly display just one note at a time. Do you want to teach intervals? Select Interval mode and Classroom Maestro will cleanly display just two notes at a time no matter how many keys your press. Classroom Maestro has similar modes that govern the display of chords, chord progressions, scales, and five-finger (piano) hand positions. Classroom Maestro uses traditional, western music notation. This means that every note in the chromatic octave has three possible spellings (except for G#/Ab which has just 2 possible spellings). You might be wondering, which spelling does Classroom Maestro use when you play notes on your MIDI keyboard? Classroom Maestro always thinks in terms of a traditional major or minor key. You can easily and quickly set the current key and major/minor modality with a couple of key strokes on your computer keyboard. And, you can even hide the key signature if you wish. Classroom Maestro does the rest, following normal rules of music notation. Want to change the enharmonic spelling of a note? Try tapping the E key on your computer keyboard. Classroom Maestro will spell notes the way that you want to spell them. In addition to knowing how to spell and name all of the notes in the chromatic octave, Classroom Maestro can analyze intervals, chords, and scales. 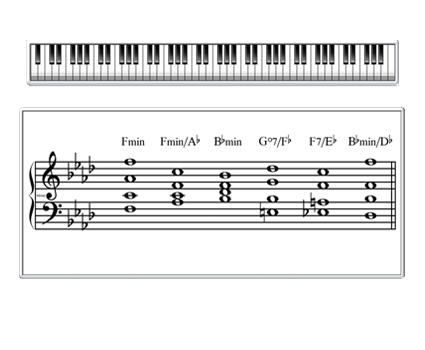 In the case of chords, you can quickly switch between traditional Roman numeral analysis and pop or jazz-type analysis. 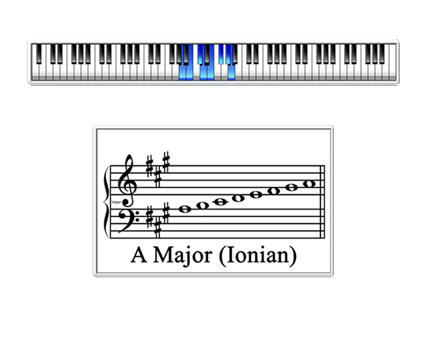 Do you use other scales besides the traditional major and minor scales? Perhaps blues, bebop, whole-tone, major pentatonic, or mela kosalam? 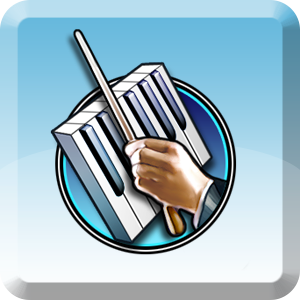 Classroom Maestro’s extensive scale database (of approximately 200 scales) has you covered! Entering notes onto the display and later erasing them could not be easier. Just play your keyboard in the normal way. When you press keys, notes appear. When you lift your fingers, notes disappear from the display—unless you freeze the display using a pedal connected to your MIDI keyboard or by engaging the caps lock key of your computer keyboard. Would you like to display an entire chord progression? Activate Chord Progression mode and then just play the chords and pedal them in the way that a pianist would normally pedal them. Classroom Maestro will notate them beautifully and even produce an analysis. Do you teach class piano? Classroom Maestro’s on-screen keyboard is a great visual aid. Hand Position mode makes it easy to show students where to place their hands on the keyboard. Classroom Maestro’s on-screen keyboard can also show how you articulate the notes. How will you use Classroom Maestro while standing in front of an interactive whiteboard instead of sitting in front of a MIDI keyboard? 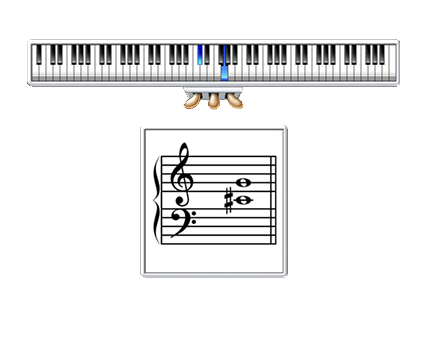 Although Classroom Maestro works magically when you enter notes from a MIDI keyboard, you can also enter notes by clicking the on-screen keyboard with a mouse or by tapping the on-screen keyboard if it is displayed on an interactive whiteboard. Using an interactive whiteboard is easy. Display the on-screen keyboard where you can reach it, either above or below the staff. Then double-tap the whiteboard to bring up a floating tool palette and move it to the edge of the screen where it is out of the way. From that point, you can switch between program modes, turn off and on features using the floating tool palette, and easily enter notes by tapping the on-screen keyboard. This is a fully functioning demo version of Classroom Maestro that will work for just 8 minutes at a time. You may launch it up to 30 times. This is a fully working version of Classroom Maestro’s Single Note mode. You may use it as many times as you wish. Dr. Mario Ajero demonstrates how he uses a variety of technology resources in his piano lab at the Stephen F. Austin State University. Note how he uses both Home Concert Xtreme and Classroom Maestro. George Litterst demonstrates how to set up a MIDI keyboard for use with Classroom Maestro. Educational Resources : Click the cover to open. Right-click the cover to download. 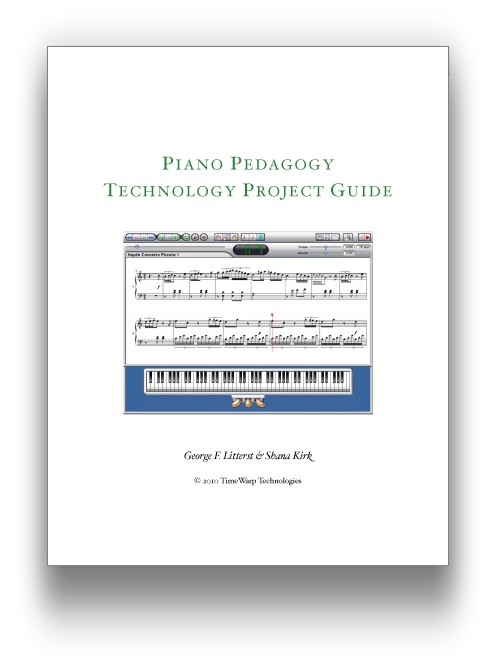 The Piano Pedagogy Technology Project Guide is a resource for college piano pedagogy instructors, written by George F. Litterst and Shana Kirk. It contains 16 term projects that may be assigned to piano pedagogy students. Each project can be completed independently by the students and shared with the class at the end of the term. What do I need to set up Classroom Maestro in the classroom? Can I use Classroom Maestro as a private instructor? Yes. Many teachers use Classroom Maestro during individual lessons. Classroom Maestro provides an interactive, electronic display for both the student and the teacher. The teacher can use Classroom Maestro to quiz the student or to ask the student to demonstrate an understanding of note names, intervals, scales, or chords. What kind of keyboards work with Classroom Maestro? 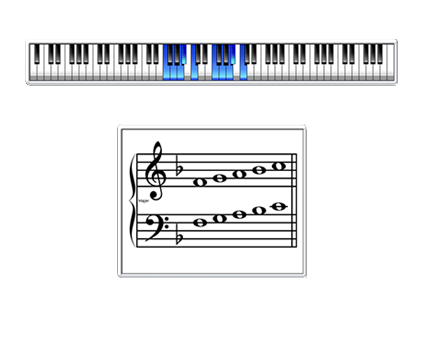 You can use any MIDI keyboard with Classroom Maestro. I don’t have a projector, is Classroom Maestro still useful for me? Can I use Classroom Maestro with a Smart Board or similar touchscreen display? Yes. Double-tap the display to show or hide the floating Tools palette. This palette gives you access to the various functions that are normally engaged by pressing a key on your computer keyboard. Position the on-screen keyboard above or below the staff as desired (where you can reach it), and use the on-screen keyboard to enter notes. The Tools palette has a button for freezing the notes onto the display. How do I move the on-screen keyboard to the top of the screen? Hold down the Option key on a Mac or the Alt key on a PC and then press the K key. Doing so will enable you to toggle the position of the on-screen keyboard between the bottom and the top of the window. How do I show or hide the pedals for the on-screen keyboard? Hold down the Option key on a Mac or the Alt key on a PC and then press the P key. Doing so will enable you to toggle off and on the display of the keyboard pedals. Hold down the Command key on a Mac or the Control key on a PC and then press any of the number keys from 0 to 9. Doing so will enable you to cycle through 10 different background colors. 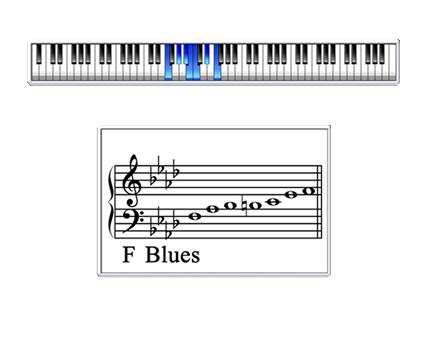 How do I keep the notes displayed without holding the keys down on my MIDI instrument? You can freeze the display by engaging the Caps Lock key on your computer keyboard. You can also hold down the Shift key or you can press and old a pedal on your MIDI keyboard that has been designated for this purpose. To use a foot pedal, select Display Options… from the Options menu, check the box next to “Freeze Display with this Pedal,” and then choose the pedal that you would like to use from the drop-down menu. If you are using an interactive whiteboard, double-tap the whiteboard to bring up the floating Tools palette. This palette has a button for freezing the display. NOTE: If you are in chord progression mode, the simplest way to freeze chords on the display is to designate the sustain pedal for this purpose. Then, you can simply play chords and pedal in the normal fashion. With each depression of the pedal, the currently notated chord will be frozen onto the display. Don’t use the sustain pedal simultaneously with the Caps Lock key. You can give quizzes by displaying notes on the staff and then toggling off and on the analysis feature. Press the A key on your computer keyboard to toggle off and on the analysis feature. How do I switch between jazz/pop chord notation and Roman numeral analysis? 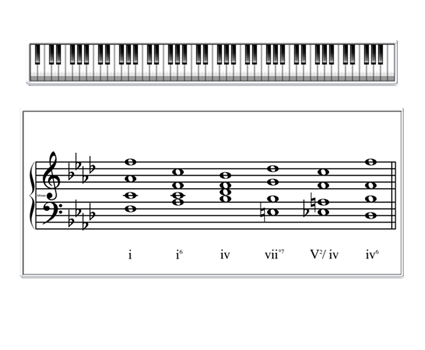 You can press the J key on your computer keyboard to switch between jazz/pop chord notation and Roman numeral analysis. Why aren’t my chords spelled the way I expect them to be spelled? If this box is unchecked, Classroom Maestro will spell the notes according to the key signature and the current major/minor modality. If you play a note that is not included in the current major or minor scale, Classroom Maestro will choose a particular note spelling based on the likelihood that the note in question is an alteration of a particular scale degree. If you check this box, Classroom Maestro will use the rule mentioned above to spell the bass note and will then look for common chord intervals above the bass, and will spell the notes accordingly. Most users get the results that they are looking for by checking this box. Classroom Maestro will not run on my Macintosh. How do I fix the problem? You have an older version of Classroom Maestro, and your Mac is running OS X 10.7 or later. The original Classroom Maestro was developed for older Macs and used a system software feature called “Rosetta” to operate on both older and new Mac hardware. Apple’s OS X 10.7 and later operating systems no longer support Rosetta. Please log into your TimeWarp account and download a newer version of Classroom Maestro. How can I use Classroom Maestro during a long distance lesson? Classroom Maestro works inside of TimeWarp’s Internet MIDI program. 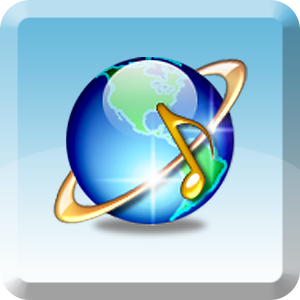 If you and a long distance student both have Internet MIDI and Classroom Maestro installed on your respective computers, you can use Internet MIDI to establish an Internet connection between your computer and your student’s computer. Once you have established an Internet connection between your computers (and therefore between the keyboards that are connected to your computers), both you and the long distance student can access Classroom Maestro from within Internet MIDI. Either of you can play notes and thus control the display. The same information will be displayed on the staff and on-screen keyboard at both ends of the connection. How can I use Classroom Maestro to conduct an examination—in person or over the Internet? As mentioned above, Classroom Maestro can be used interactively over the Internet when combined with TimeWarp’s Internet MIDI program. 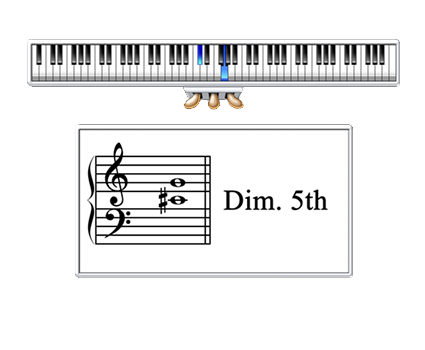 In either a local or long distance situation, you can ask a student to illustrate his/her understanding of note names, intervals, scales, and chords by playing the appropriate notes on the MIDI keyboard. The analysis feature can be turned on to confirm whether the student’s answer was right or wrong. How can I use Classroom Maestro with a college piano pedagogy class? Locate and download the Piano Pedagogy Technology Project Guide from the TimeWarp website. It contains 16 term projects for piano pedagogy students. Classroom Maestro is, without a doubt, one of the most valuable software apps that I've used in the past 8 years of my teaching. In my group piano classes, the pace is much quicker, students are noticeably more engaged in the lesson content, and they consistently remark that visualizing what I'm playing in real time on the keyboard and staff keeps them on task. While Classroom Maestro may not have been originally conceived as an online teaching tool, it works perfectly in long-distance teaching scenarios. Whether I use it as a plugin with Internet MIDI or screen-sharing in real-time video conference lessons, or capture it with screen recording software for video tutorials, Classroom Maestro brings online music lessons to a whole new level. Throw away your flashcards! Here is an indispensable tool for developing a creative, imaginative and powerful approach to the study of notes, intervals, chords, scales, note sequences, progressions – you name it. But words do not do it justice, you have to see it for yourself. Ingeniously designed and user-friendly, Classroom Maestro is a must for the creative teacher. Originally intended for classroom use, as the title suggests, do not be misled: it is most suitable for individual instruction. 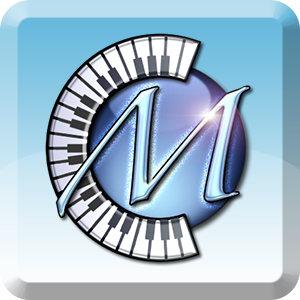 Classroom maestro is the quintessential software program for piano and theory classes! 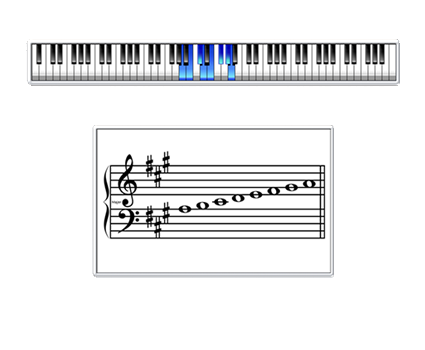 When coupled with an interactive white board, projector, or Remote Desktop in a classroom full of computers, it provides an irreplaceable tool to show scales, chords, patterns, intervals, and so much more. When used with ScreenFlow or Camtasia, I can record training videos for my students that show exactly what I am playing in real time, superimposed with a video of my playing. I can’t live without it!